#RelationshipGoals. 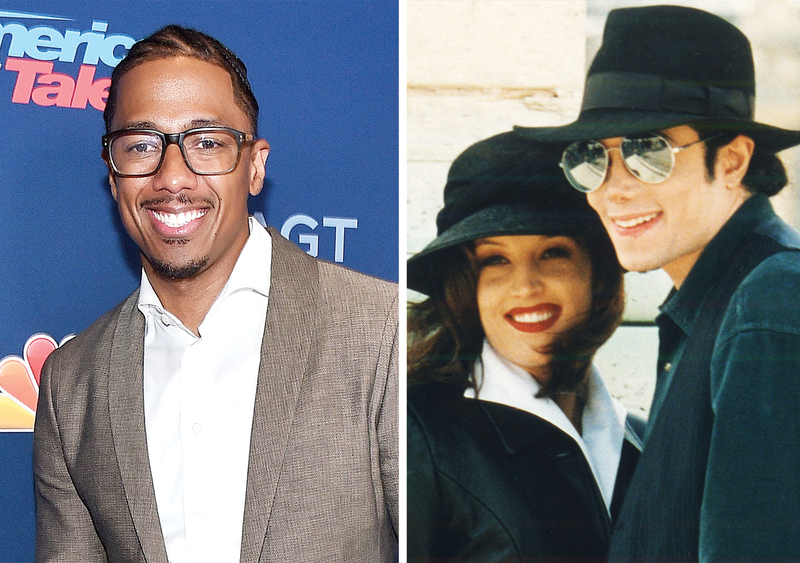 Nick Cannon revealed in a new interview that his favorite celebrity couple of all time is Lisa Marie Presley and the late Michael Jackson. Chatting with Cosmopolitan.com on Wednesday, November 2, for a Facebook Live segment, the Wild ‘N Out star, 36, opened up about his affinity for former spouses Presley, 48, and the King of Pop. “My favorite celebrity couple of all time? I always thought Michael Jackson and Lisa Marie Presley [were] really cool. I wanted them to have a baby so bad! Because that would have been like the coolest,” Cannon said of Elvis Presley’s daughter and Jackson, who died at age 50 in June 2009 of acute propofol and benzodiazepine intoxication. During their whirlwind romance, the pair — who starred in MJ’s 1995 “You Are Not Alone” music video — flaunted their love by sharing a passionate onstage smooch at the 1994 MTV Video Music Awards. They tied the knot that year, but eventually split in 1996 after two years of marriage. The America’s Got Talent host is alsoa huge fan of his ex-girlfriend Kim Kardashian and her husband, Kanye West. Cannon once made up half of one of Hollywood’s most cherished couples. He and now-ex-wife Mariah Carey tied the knot in 2008 after just months of dating, but split in August 2014. As previously reported on November 1, the parents of 5-year-old twins Monroe and Moroccan finally reached a divorce settlement this year. Cannon’s comments to Cosmo come hot on the heels of news that his ex Brittany Bell is expecting. An insider claimed to Us Weekly that the Drumline actor is the father. According to the source, Bell, 28, a Guamanian-American actress and former Miss Arizona USA, is about six months along in her pregnancy. She and Cannon previously dated on and off.